Your Wedding Guests Accommodation Bookings made easy! Simply register your wedding with the Echuca Moama Visitor Information Centre and we'll take care of all your wedding accommodation requirements. When you register with us, we'll send you cards like the one pictured so you can include them with your wedding invitations. All your guests have to do is mention your name and event when they call us and we can organise all their accommodation on the spot. You'll also receive the 'Echuca Moama Wedding Package' flyer that lists all Echuca Moama Tourism Members who can help make your special day a memorable one. Echuca Moama are twin towns nestled on the mighty Murray River. 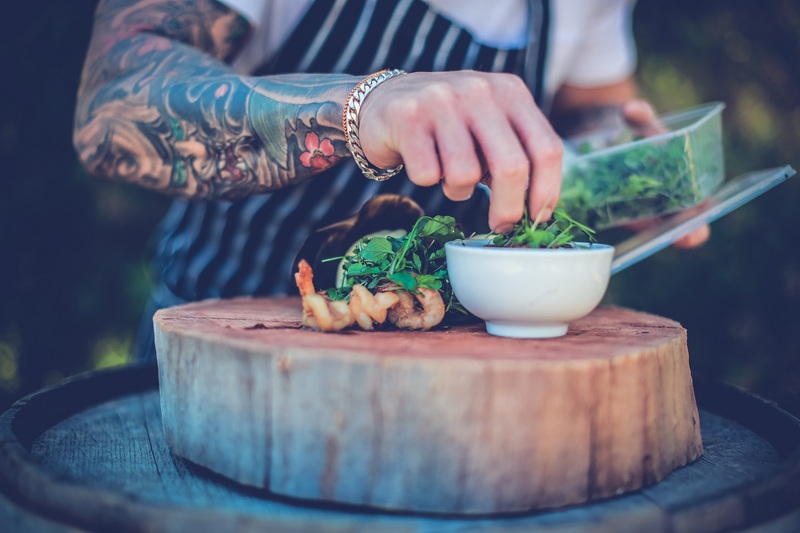 Here you can indulge all your senses from great eateries, live music festivals set against a natural backdrop of moving rivers, ancient river gums and wonderful Mediterranean style climate. Your Perfect Escape on the Murray River! 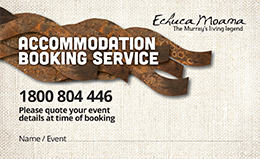 Book your Accommodation - Echuca Moama offers an almost endless choice of accommodation. Experience exciting attractions and plenty of school holiday activities in Echuca Moama and surrounding region. 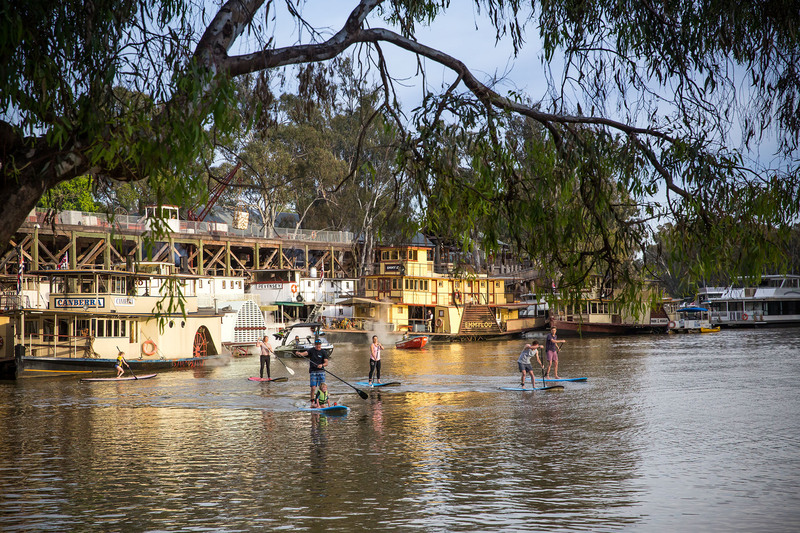 Echuca Moama has the largest operating fleet of Paddlesteamers in the World! Experience SUPing, skiing, canoeing and more! 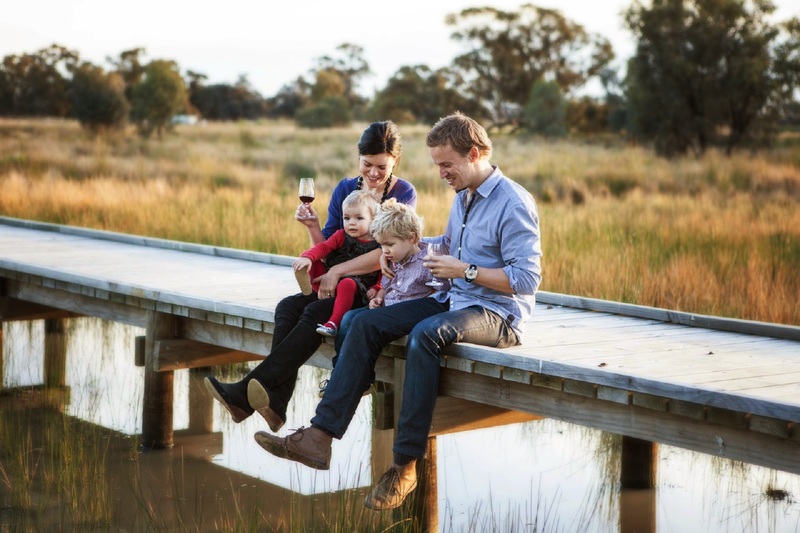 Echuca Moama is home to first class eateries, funky bars and wineries, showcasing fresh local produce! Book your tickets for upcoming Echuca Moama events. 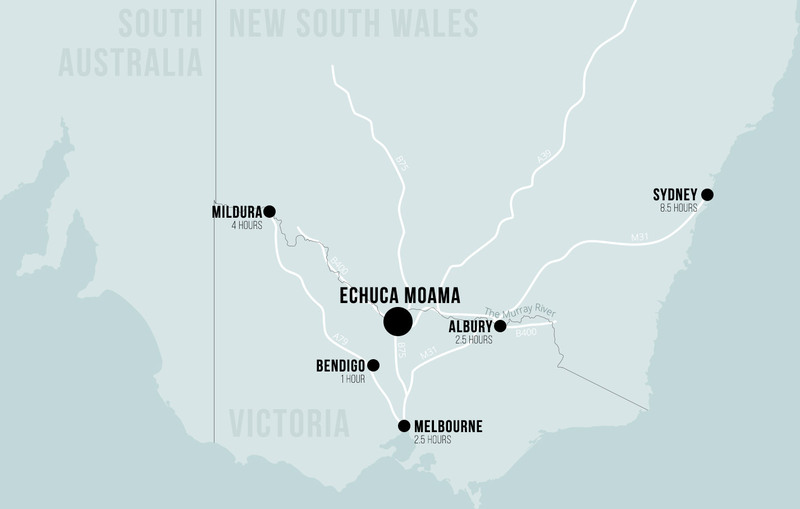 There is even more to discover in our region - visit our surrounding villages, all within an hour's drive of Echuca Moama! Experience Autumn in Echuca Moama! Lazy days in luxury cruising the Murray river, Glamping, Camping, SUPing, House Boating, Water Skiing, boutique shopping and exceptional restaurants, pubs and Clubs! What's on in EM this Easter! 20 Reasons to visit these School Holidays! Super Cool Ideas for Summer! Located on the banks of the mighty Murray River, the twin towns of Echuca Moama are an easy two and a half hour's drive from Melbourne and eight and a half from Sydney. You're invited to explore the historic Port of Echuca and Wharf which is recognised as one of Australia's finest heritage icons and is home to the largest Paddlsteamer fleet in the world. Need more information? Let our friendly team at the Echuca Moama Visitor Information Centre assist with whatever you’re after including where to eat and drink, entertainment, local tours and attractions and important information when exploring our region.